Lance® was born out of a true entrepreneurial spirit when, in 1913, founder Philip L. Lance got stuck with 500 pounds of raw peanuts. Instead of backing out of his deal, the Charlotte, NC food broker had a revelation: roast and sell the nuts for a nickel a bag. The freshly roasted peanuts were an immediate success and Philip Lance was inspired to expand his line to include peanut butter. After that he was on his way. Today, that sort of innovative passion is alive and well with Lance® employees, such as those the ones who embarked on an initiative to achieve working towards zero-waste-to-landfill. That’s the sort of Home Town spirit we love to see! Snyder’s of Hanover® (Pennsylvania) began life in 1909 as the Hanover Canning Company, producing Olde Tyme Pretzels. Early production was by hand, but growing demand in the roaring twenties required modern innovations. Throughout subsequent decades, Snyder’s of Hanover® employees continued innovating to improve their products and facilities. 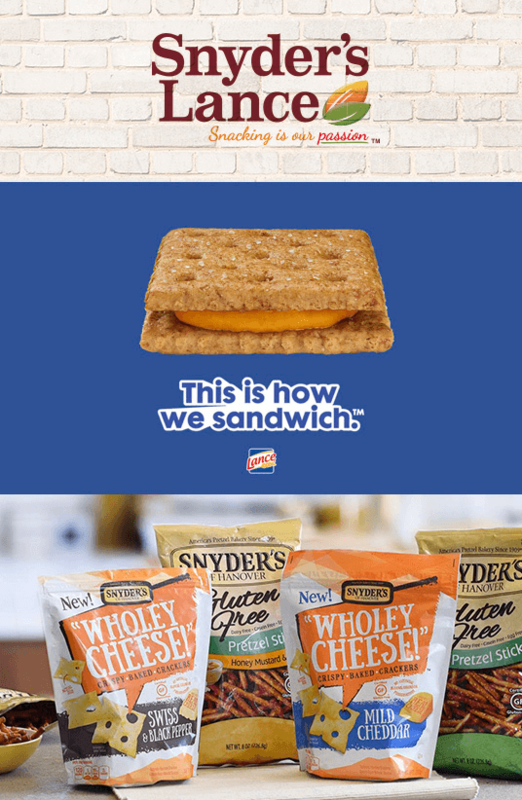 For example, recently a team of employees worked hard to make all three of Snyder’s of Hanover® pretzel factories certified peanut-free facilities. This was no small feat, but the thought that some people could not enjoy their snacks due to dietary restrictions was unacceptable, so employees spearheaded the transformation. Sounds like Snyder’s of Hanover® not only makes good food, but makes a good neighbor, too!